Dental Veneers in India is a procdure done at the top dental clinics in India comprising the certified dentists and world class dental professionals who are committed to offer the highest level of excellence to the global patients at affordable rates. Indian Healthguru aids overseas patients get the best healthcare for almost all kinds of problems, in India at affordable costs. Primary care: Indian Healthguru helps in arrangement of medical visa, to and fro airport service, accommodation, meals, appointment with surgeon, lab tests etc. Budget-friendly: The expenses incurred in the entire medical travel for Dental Veneers in India are nearly 30% of that in most Western countries. Ethics: We maintain highest ethics in providing the treatments and the procedures are followed with transparency. Dental veneers are a beautiful way to correct stained, chipped, or crooked teeth. By placing glass-like ceramic porcelain on the surface of teeth, dentists can provide patients with bright, straight, and natural looking smiles. 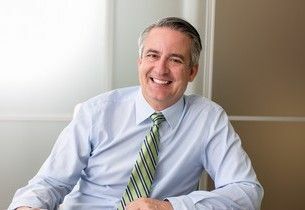 If you are considering veneers but would like more information about the process of placing porcelain veneers and the cost of treatment, please read the information below and contact a dentist in your area. For decades dentists have had available to them materials that can create a durable bond to tooth enamel. These bonding materials are used to securely attach a thin sheet of porcelain (the porcelain veneer) to a tooth. Although porcelain is inherently brittle, when it is firmly bonded to a sturdy substructure (a tooth) it becomes very strong and durable. Dental veneers are thin layer of restorative material placed over a tooth surface, either to improve the aesthetics of a tooth, or to protect a damaged tooth surface. Dental veneers are also called as Porcelain veneers or dental porcelain laminates, are one of cosmetic dentistry’s more recent developments. Porcelain veneers are wafer-thin shells of porcelain that can be bonded onto the front side of teeth to make a cosmetic improvement in the teeth’s appearance. One of the important parts in our body in more than one aspect is the teeth. Good and strong teeth are essential for a person to chew, bite and swallow food and other ingredients, and aid in the digestive process. In addition, teeth are one of the visible things in the face and a good charming smile is one of the attractive things in you that others will love to see. Having healthy and attractive teeth is bliss and will do a world of good to the confidence of a person through the smile. Ironically, one can have little or no control over the size, type and quality of the teeth in early stages. The probability of teeth getting damaged, chipped, marked or even discolored is more. Once your teeth gets affected through any of these means, then your smile will not be the same again and a lack of confidence creeps in you unknowingly, negatively impacted by the damaged teeth. The field of dentistry has advanced leaps and bounds and a plethora of cosmetic procedures are available for a person to choose from, such that the charm and beautiful smile in the face can be restored back. Dental veneers is one of the processes used for treating the damaged teeth. What is the Composition of Dental Veneers? What Dental Veneers can do? Chipped teeth or teeth that have uneven surfaces make great candidates for Dental veneers. These minor imperfections will be covered once the veneers are applied. If you have old bonding or fillings that have become an eyesore, Dental veneers may be able to conceal any discoloration that has occurred over time. Some people's teeth become permanently discolored due to fluorosis staining, physical trauma, or a root canal. In such cases, Dental veneers can cover up these stains and leave you with an even, white smile. Sometimes, Dental veneers can be used to "close the gaps" between teeth. Instead of getting orthodontic braces, some people just choose to get porcelain veneers that fill in the gap. They can also sometimes replace orthodontic braces by giving teeth an even appearance if there are small misalignments present. 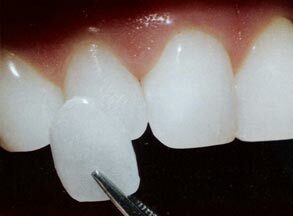 Lumineers: These are almost identical to a Dental Veneer except they are thinner and, don’t require any trimming. They are made from crenate porcelain which is the same thickness as a contact lens but is very strong. Da Vinci Veneers: These are similar to a Lumineers; it is a very thin yet durable veneer which is proving to be very popular with celebrity patients and well known cosmetic dentists, especially in America. MAC: It is made from pressed ceramic and is more durable than the traditional veneer. These are also popular with celebrities and other high profile people. How to Prepare for Dental Veneers? Talk to your dentist. Before you get Dental veneers, speak to your dentist about what to expect from the procedure as well as how your mouth is going to feel after the procedure has been done. Inquire about the way that your mouth is going to look once you have the Dental veneers. Many dentists have software that can show you what your teeth are going to look like afterwards. Research the procedure. After your visit with the dentist, perform some additional research on your own. Read up on the procedure and call your dentist if you have any questions that you want answered. Get a mold done. To make the Dental veneers, the dentist is going to have you come back into the office to make an impression of a tooth or several teeth. Evaluate the shape and color of the dental veneer. Before you have the Dental veneers put in, you and your dentist are going to discuss the shape and color of the veneer. The dental veneer procedure can often be completed in two dental visits over the course of a six-week period. The visits are comprehensive and may require several hours of examination, and tooth preparation. Dental offices typically boast amenities that may include sedation dentistry, audio/visual distractions and even massages to help you relax and stay comfortable. The examination stage of the veneer process is essential; it determines any oral health concerns that must first be addressed before treatment progresses. Also, your dentist will work with you to select the best tooth color for you from a special shade chart. Imaging technologies can provide you with a preview of your expected results, and before and after images can allow you to view other successful cases. Once the examination process is completed and the customized plan designed, treatment begins. The procedure itself has several steps. First, your dentist will likely administer a local anesthetic so you will be comfortable during the preparation of the tooth and the application of the veneer. Then the tooth is prepared by minimally reshaping it to provide the best fit. The tooth is reshaped using a small handheld rotational cutting device called a bur. Burs come in various shapes and sizes and allow for the precise and minimal shaping of a tooth prior to veneer placement. Next, your dentist will make an impression of your teeth from which a mold of your mouth will be made. This impression may be sent to an outside dental lab so the veneers can be professionally fabricated. Some dentists boast an in-house dental lab and technicians, through which restorative and esthetic materials such as veneers may be fabricated in a shorter period of time. In other cases, dentists have CAD/CAM technology in the clinic and may fabricate the veneer in one visit. How to Care for your Dental Veneers? Short-Term Care: Teeth may be a bit sensitive to temperature directly following the application of your porcelain veneers. You may want to avoid eating extremely hot or cold foods. This sensitivity should die down after about two weeks. Following diet guidelines can also help sustain the natural appearance of your porcelain veneers. Although veneers can withstand most foods without problem, avoid biting into unusually hard foods that could stress and twist the veneers. When these foods are unavoidable, try chewing with your back teeth. Just like natural teeth, veneers require consistent flossing. Floss at least once per day, if possible after every meal, to maintain gum health and to keep your veneered teeth free of food and plaque. Brush after every meal with a soft toothbrush. If veneers happen to come loose or to twist, teeth may be vulnerable to decay. To prevent this, eat carefully and keep your teeth free of food particles. You should go for a check-up and professional cleaning every six months or so, just as you normally would. If your checkup dentist is different from your cosmetic dentist, inform him or her that you had porcelain veneers applied. If you grind or clench your teeth while sleeping, your cosmetic dentist can fit you with a mouth guard to shield your veneers. Though your veneers are designed to last, excessive pressure may cause them to chip or expire sooner than they normally would. The use of Dental veneers are gaining immense popularity due to the ease of applying one of these veneers on, and also the long-lasting benefits that porcelain veneers have in enhancing your appearance. Realistic Appearance: One property of the teeth’s enamel covering is that it is translucent. This means that when light strikes a tooth’s surface it is not immediately reflected off, but instead penetrates into the thickness of the enamel. This property of translucency is an important part of what gives teeth their characteristic appearance. Historically the cosmetic dental bonding materials dentists have had available to them were only semi-translucent which didn’t give a realistic appearance since the light striking the tooth did not penetrate into the bonding layer but instead was reflected off the bonding’s outer surface. Although, the bonding improved the teeth, the sense of depth projection did not give the teeth its characteristic translucency. Porcelain veneers are glass-like, which have a great advantage over other types of cosmetic dental bonding by the fact that they are translucent. When they are bonded onto a tooth’s surface they mimic the light handling characteristics of enamel. This translucency effect provides a sense of depth, and thus a very life-like appearance. Resists Staining: In the past, cosmetic dental bonding materials were susceptible to staining and discoloring. This was especially a problem for those people whose teeth had excessive exposure to tea, coffee, red wine, or cigarette smoking. A significant advantage of porcelain veneers is related to the fact that a porcelain veneer’s surface is just that, porcelain. Since porcelain is a ceramic, and therefore glass-like, its surface is extremely smooth and impervious - this means that the surface of a porcelain veneer will not pick up permanent stains. Bondings and crowns are alternatives. Veneers offer a nice intermediate option. Veneers may be best suited for individuals who want to change the shape of their teeth more than just a little bit-as is done with bonding-but not enough to require a crown. Why Dental Veneers in India? Every passing day, we see a rise in the qualitative and quantitative dental tourism in India of global patients coming from all the corners of the world. The dental clinics comprise certified dentist and world class dental professionals who are committed to providing the global patients with the highest level of excellence in knowledge, technique and atmosphere. The dental centers in India expertise in general dentistry, aesthetic dentistry, cosmetic and restorative dentistry is matched only by the way in which they practice, working one on one with the patient in environments promoting relaxation and comfort. Truly exquisite dentistry is a marriage between art and science, and when applied by experts, it leaves the patient feeling great about themselves and their smile. Everybody wants their smile to be perfect, and that requires taking good care of your teeth. However with the fast paced lifestyle and maximum diet being that of junk food, you really need to ensure that your teeth are protected against all the germs and other agents that might damage them. The doctors at the Indian Health Guru are equipped with all the latest technological instruments and years of experience to ensure that your teeth are covered with a layer that would not only make your smile look better but also protect your teeth through the procedure of dental veneers. What is the Cost of Dental Veneers in India? The cost of Dental Veneers has also soared in western countries. While medical treatments may be covered for some by insurance companies or employers in western countries. Many foreigners find themselves without any dental treatment insurance and have no choice but to pay for their dental treatments themselves. For the millions of Indian nationals settled abroad dental treatments in India is a practical option. Have a holiday with your loved ones and save money on your dental work at the same time. While the rates of dental work depend on the dentist one goes to. Here is a sample of what costs are in India compared to the United States.